Special events call for a special service. CPA Horticulture ltd have strategically located depots throughout the UK and are able to produce various grades of woodchips for your event whatever the quantity or quality required, just in time. Woodchip offers an inexpensive temporary ground cover compared to other types of outdoor flooring. All events are different and we have a wide range of products to reflect this ranging from unscreened whole tree chips, recycled and virgin wood fibres right up to screened hardwoods. 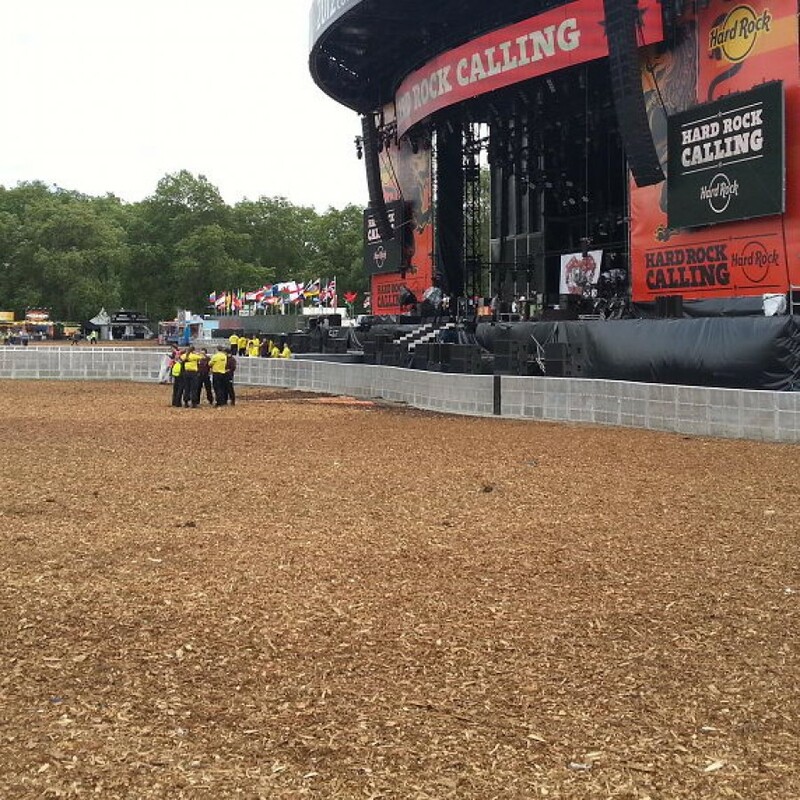 In July 2012, CPA Horticulture Ltd put 10,000 cubic metres over three days into Hyde Park for the Live Nation summer festivals. Read the press clippings here. As part of the service at CPA Horticulture, if required, we can help source labour and machinery to get the job done as quickly and cost effectively as required. Please call us for more information on 01994 231121. Full service available, supply, install and removal. Easy and quick to install and cover large areas. Prevent events closure due to weather conditions. Absorbs water, preventing muddy hazards. All woodchips are ethically sourced.